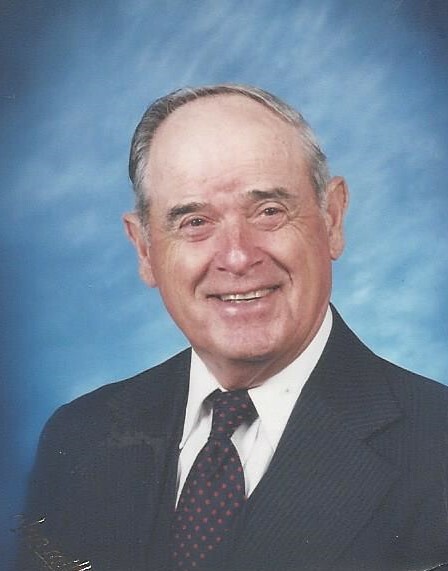 Obituary for Harry Eugene "Gene" Lawson | Harold M. Zimmerman And Son Funeral Home Inc.
Harry Eugene “Gene” Lawson age 92, of Greencastle, PA and formerly of Urbana, MD, passed away on Monday, April 15, 2019, at Meritus Medical Center in Hagerstown, MD. Born January 13, 1927, in Urbana, MD he was the son of the late James Uriah and Mary Virginia Weller Lawson. Rev. Lawson was a 1944 graduate of Frederick High School. He held many occupations, sometimes all at one time; Harry was a farmer, a custom farmer, mechanic, minister, mailman, and bus driver throughout his life. Rev. Lawson enjoyed steam engines, threshing, working at his sawmill, tractors, woodworking, traveling, the ministry, dairy and crop farming, custom farming, and beef cattle. Meticulous in nature, Gene took great pride in his vehicles, his equipment, and everything he did. He was a member of the Greencastle United Methodist Church and Two Top Ruritan Club. Surviving is his beloved wife of 67 years, Margaret Ann “Peggy” Baughman Lawson, whom he married on February 15, 1952, two sons, Carl T. Lawson of Mercersburg, PA and Gabriel E. “Gabe” Lawson of Monrovia, MD; four grandchildren, Jessica R. Lawson of Greencastle, PA, Ami Leigh Curtis of NC, Angela Lynn Redding of FL, and Nathan E. Lawson of Frederick, MD; five great-grandchildren; two great great-grandchildren; and a sister, Edith “Sis” Bulman of York, PA. In addition to his parents, he was preceded in death by his twin sister, Irene Reeder and a brother, Marion Lawson. Funeral services will be held in the Large Chapel at the Mausoleum in Mt. Olivet Cemetery, 515 S. Market St., Frederick, MD 21701 at 11 AM on Saturday, April 20, 2019, where Rev. Jack Harpold will officiate. The family will receive friends on Friday, April 19, 2019, at the Harold M. Zimmerman and Son Funeral Home, 45 South Carlisle St., Greencastle, PA 17225 from 2 – 4 and 6 – 8 PM and one hour prior to the service on Saturday at the Chapel. In lieu of flowers, memorial contributions may be made in his name to the Rheumatoid Arthritis Foundation, 8815 Conroy Windermere Rd., Suite 309, Orlando, FL 32835 or to the Dementia Society of America, PO Box 600, Doylestown, PA 18901. There's still time to send flowers to the Visitation at the Harold M. Zimmerman And Son Funeral Home Inc. from 2:00 PM to 4:00 PM on April 19, 2019.